Suzuki GB has announced the launch of a brand new security-marking product in an exclusive partnership with specialist company Datatag. 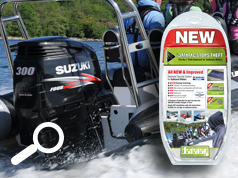 The unique product is an electronic security identification system that has been developed specifically for outboard motors and, in another first for Suzuki, it‘s the first of its type for the marine industry. Launched for the first time at the PSP Southampton Boat Show, the Datatag electronic identification system is designed to act as both a deterrent against theft and as a powerful way to recover in the event of a theft. Installation of the Datatag security technologies will give Suzuki outboard motors a unique “fingerprint” that can be established, by the police or the insurance industry, in a number of different ways. The unique identity is virtually impossible to remove, however hard a criminal may try. The main benefits for the police, compared to other tagging systems, is that with this new system police need nothing more than an ultra-violet torch and a telephone to make a call to the Datatag call centre at any time of day or night 365 days a year and identify a stolen engine. The police can establish the outboard motor’s true identity from the tamper evident registration number, one of the ‘stealth’ ultra-violet etchings or one of the 1000 Datadots® applied to every motor, even if the outboard motor has been modified or painted. Finally, all UK police forces have been equipped with thousands of special Datatag scanners that are specifically programmed to read the Datatag electronic transponders which give each motor a unique “electronic fingerprint” helping the police to gain the upper hand and defeat the criminals. 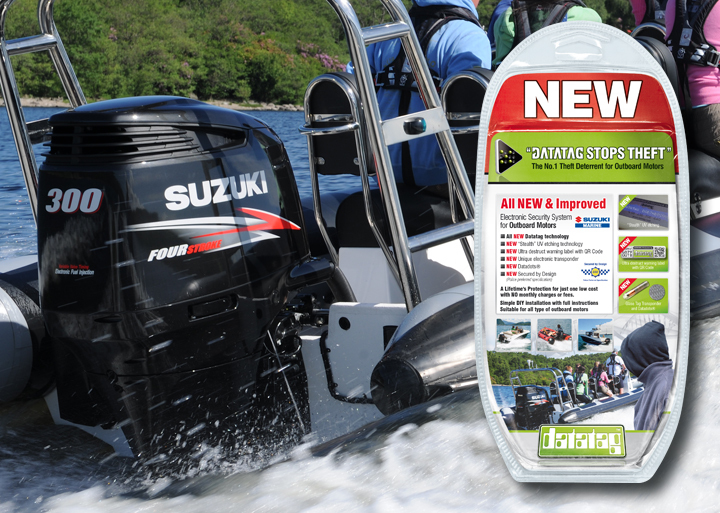 The Datatag marine outboard motor kit has a RRP of £40 and Suzuki will be offering to install the kit free of charge on all engines from its new DF25A right up to the flagship DF300AP. 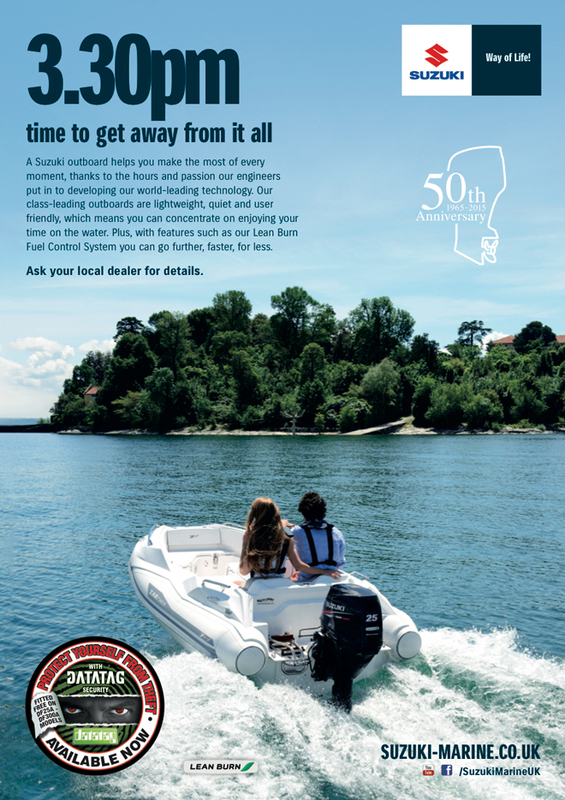 The kit will also be offered at a special price for customers to apply to their smaller, portable outboards too.